Hellgate: London is the latest title from the creators of Warcraft, Starcraft and Diablo who not only re-work on their original ideas but create a unique and interesting twist to 21st century RPG "gaming" with its first person title that is set in the not so distant future which has the realm of man overrun by demons. Your goals are simple, prevent these nefarious hoards from destroying the last bloodline of humanity by melding science with sorcery. Combining the depth and customizability of Role-Playing Games with the immersive experience of a first-person perspective, gameplay is fast-paced without requiring lightning-fast FPS reflexes, making it accessible to a broad audience of RPG fans. Experience the ominous setting of post-apocalyptic London. From ancient ruins buried beneath city streets to shattered cathedrals to the last remnants of humanity bunkered in the Underground, the boundary between fact and myth are blurred as a few glorious heroes fight for their very souls. Fight against the demons of the underworld as one of several unique character classes. Like the Templar, each class has a unique visual and game play style based on their particular history and heritage. Randomly generated and modifiable items ensure that heroes are distinct and individualized. Battle against a wide variety of demonic enemies, each with their own unique attributes, abilities, and vulnerabilities. With dynamically- generated levels, massive quantities of randomly- created items, chance events and story- driven quests, no two gaming experiences are ever the same. 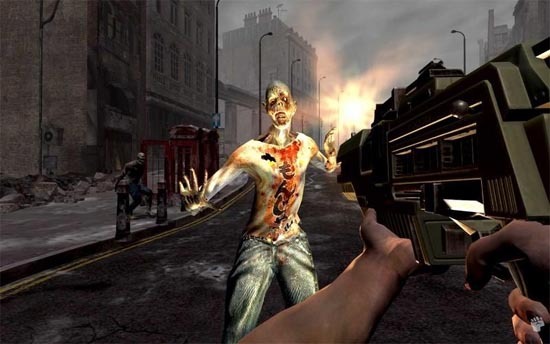 While Hellgate: London stands on its own as a single-player game, it also provides a compelling cooperative multiplayer experience through a dedicated online gaming destination. By creating unique and individualized game play “instances” within a vast online community, gamers get all the best parts of traditional massive multiplayer games without the common downsides. 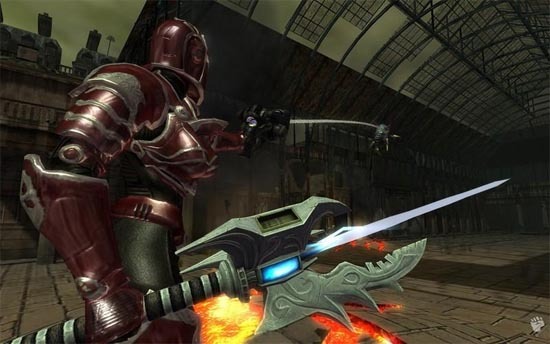 In Hellgate: London, the gamer has access to three different character types, each with their own unique set of powers and skills that are broken up again into different archetypes. For instance, the Sword swinging Templar make up the front line of melee fighters while Hunters hang back and shoot from afar. Cabalists on the other hand have decided to embrace dark powers and hurl spells or summon demonic pets to do their bidding. These fighters traverse through London's vast tunnel system and even above ground, looking for a way to send the creatures back to hell. As characters level, they can either select new powers from the skill tree or improve on ones already acquired. All classes are extremely powerful and more than capable of soloing through the entire campaign. In fact, they can be too powerful, especially when a Hunter uses a sniper rifle to shoot half the monsters down or calls for a massive area attack before the Templar reach them. The great thing about Hellgate is that players of virtually any skill level can pick up and play it. Even though the camera can be set to a first-person perspective, the game isn't much of a shooter. Aiming plays a surprisingly small role. Players just need to point their weapons in the general direction of the bad guys and press fire, healing or casting spells when necessary. Ammunition isn't a factor and the monsters aren't very smart. They march forward in a giant mass in an effort to overwhelm players. Apart from the "Hard Mode" available only to paid subscribers (more on that later) and "Elite Mode" made accessible after beating the campaign, there's no difficulty setting. Though the game does get more challenging as players progress through the campaign, as expected. Monster levels and group sizes scale according to how many players enter the zone, but there's no way to manually adjust the difficulty. When playing solo, areas and quests are exceptionally easy until a giant boss arrives to mix things up. 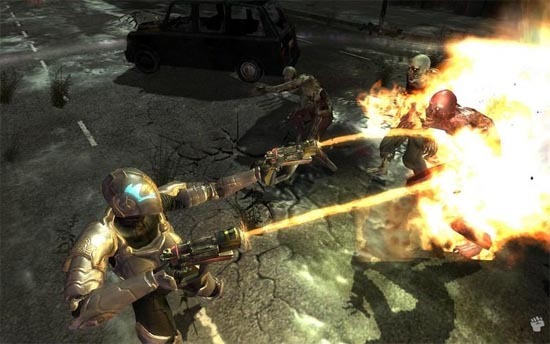 Even though Hellgate includes a dedicated single-player mode, its strength is in the multiplayer. This is where the game suffers from a major identity crisis. It's stuck in between being a single-player game with strong multiplayer options (like Diablo II) and being a kind of massively-multiplayer online game, and doesn't quite fit the role of either one. 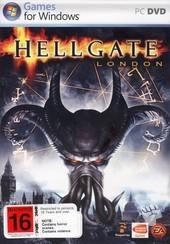 In conclusion, Hellgate: London is an entertaining RPG first person shooter that is a mixture of Diablo meets Doom in this world gone crazy with good gameplay, especially in the multiplayer mode. The graphics are amazing as if the musical score and Hellgate: London is one of those games you can keep coming back for more entertainment. Great stuff!